Have a specific system to introduce new participants into the program. These ideas could include offering scheduled introductory rides that are 30–45 minutes in length with at least half the time devoted to bike set up. A second idea is to offer one-on-one sessions to the members that can’t make the introductory rides who also might need to build their fitness. Give them the choice of doing more than one individual session if they necessary. A third option is to let new participants know that they will need to arrive 15–20 minutes before class starts and make sure that an instructor is always there to help anyone who shows up early. Regardless of the introductory option chosen, all facilities should have a system in place to record each rider’s set-up. This could be as simple using a plastic recipe box holder and index cards. A runner with size 6 feet would never try to run in size 10 sneakers. Optimizing the bike set up for each rider should be viewed with the same importance. Learning your riders’ names is also key, which is another reason why you should arrive to class at least 20 minutes early so that you can introduce yourself, discover goals and any special considerations before class starts. This will personalize the experience and give you a little more time to decide how to integrate specific ride modifications. It also keeps the rider from being under pressure to share information with the entire class that they may prefer not to. Before class starts, walk through the classroom and take a look at everyone’s set-up. Make sure everyone has a water bottle and heir shoelaces and toe clip straps are tight. Even those super experienced cyclists need to be checked, as the correct set-up can vary slightly from bike to bike. Now you can think about creating an amazing introductory speech. Introduce yourself and very briefly share why you teach Spinning classes or what you like best about teaching. Creating a sense of caring about your riders will improve the experience. I’ve taken hundreds of fitness classes and I have been surprised at how many instructors just pop in one minute before class and just start teaching. 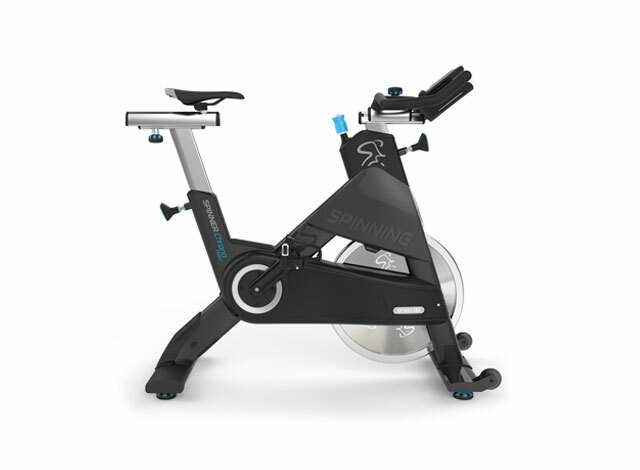 Like it or not if you are teaching on the Spinner® bike you have to address the issues related to a fixed-gear bike and how using the brake is the only effective and safe way to stop. It can be tempting to skip this step, especially when you are among all experienced riders. But don’t! By emergency brake practice, you are also making sure all of the bikes work properly. Talk about what you have planned for the ride. 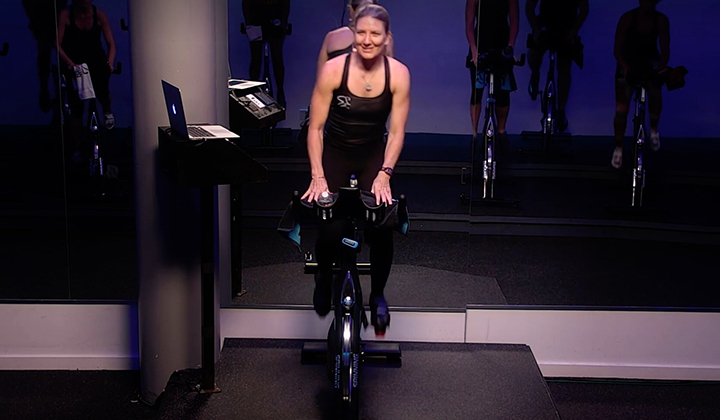 Whether the focus is on working within a specific Energy Zone™, pedaling technique or fluid transitions, it is good for your riders to know your plan. Take it to another level by sharing the benefits of following the workout you designed (i.e. share what’s in it for them). Remind riders that they are in control of their own ride, resistance and intensity, and that they have the freedom to alter the ride as needed as long as form and safety are maintained. Ask them to raise their hand if they feel uncomfortable or they need changes in their bike set-up. If that happens, get off of your bike and help. Throughout the ride use the information you learned from your riders before class started. 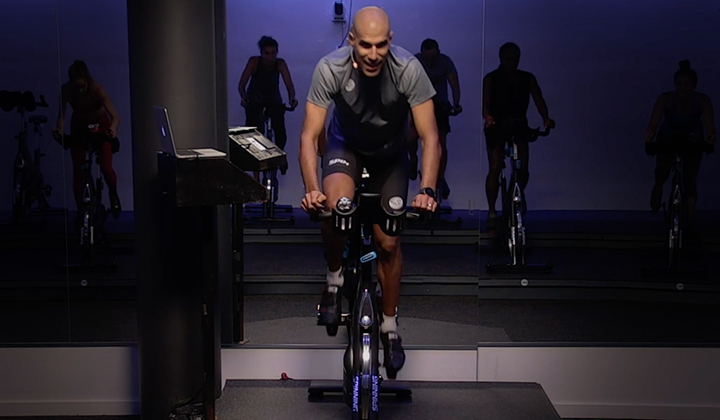 Any instructor can say, “Modify the ride as you need to”, but it is way more helpful to give specific modifications that address both the riders that want to work more anaerobically and those that may need to scale the intensity down. 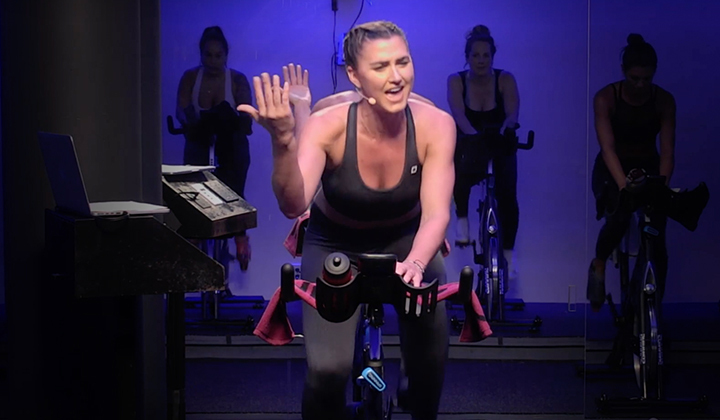 The special thing about taking a live class with you instead of following a workout DVD is that you can interact with your riders. You can give them feedback and praise. You can respond to what you see going on in front of you and change the ride to meet your class’ needs. You can help them to perfect their form and challenge themselves. You can celebrate your riders’ successes and help them overcome obstacles. None of these things could be done without you. It all begins with what happens before the ride actually starts. Never forget that!Want to know more about creating a memorable introduction for your riders? For more instructor tips, subscribe to our newsletter!